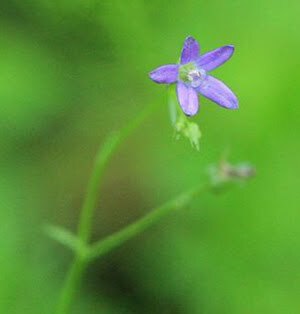 Hernando County is home to the Brooksville bellflower (Campanula robinsiae) a tiny flowering annual with blue petals, that is one of the rarest plants on earth. 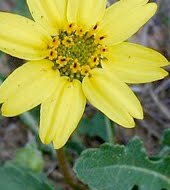 It appears briefly in late March to early April at the edge of a very few seasonally wet pasture ponds, blooms, goes to seed, and is not seen again until the following year. Its habitat historically was maintained in part by cattle as they browsed on competing plants, and their hooves broke up leaf litter, allowing the seedlings to poke through. In January, volunteers from FWC and Hernando Chapter helped Cheryl Peterson, Conservation Manager at Bok Tower Gardens, to do the job no longer performed by cattle on a site near Chinsegut Hill, where the plant was first discovered. 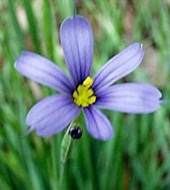 Funding for rare plant conservation is limited, and Ms Peterson was concerned that there would not be enough for a second trip to conduct a 2015 survey. The Hernando Chapter Board stepped up to help with travel expenses to that scientists and volunteers can do a 2015 plant count, tentatively scheduled for the last week in March. Because the location is not open to the public, a permit must be obtained. Once the permit is confirmed, a call will go out for up to ten (10) experienced volunteers. Volunteers must be able to accurately identify the plants, and physically able to spend several hours bending over or kneeling to count and record each tiny plant within sectors marked off by the scientists. Qualified volunteers may send an email to hcfnps@gmail.com with subject line: Bellflower survey. 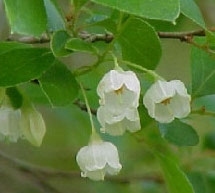 Read more about the bellflower in our previous article, and visit the Bok website.